Welcome New Jersey Electric and Gas Customers! Make the Switch USA is the leading resource for New Jersey electricity and gas customers to easily compare and switch to lower New Jersey electric rates with competitive energy suppliers in your utility area. By selecting the plan of your choice and switching to that supplier, you can start saving money on your energy bills each month. It is an easy process for customers and saves you money. Compare NJ electric and gas rates. - It is FREE and EASY to switch and save! Compare NJ natural gas rates. 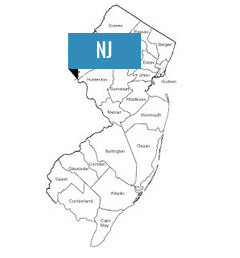 In the late 1990’s, New Jersey passed legislation to open up the energy industry to competitive energy suppliers and provide New Jersey electricity and gas customers with a choice of who they use for their energy supply. For over a decade now, the deregulated energy market in New Jersey has seen a lot of success and saved residents and businesses millions of dollars a year for the same energy. There are many different suppliers to choose from as well as various rate plans whether it be fixed, variable or promotional rates. Each year, the awareness continues to build and the number of residents and businesses that have switched from the utility continues to increase. There are several benefits for New Jersey customers to switch suppliers including that there are no fees to switch, no interruption in service, you receive the same bill from your utility but can lower your supply costs for the same energy. All residential, small commercial, large commercial and industrial customers in New Jersey can switch suppliers. Compare New Jersey electric rates or Receive a Commercial Quote. San Clemente, CA 92672 Web Design by HireAWiz.